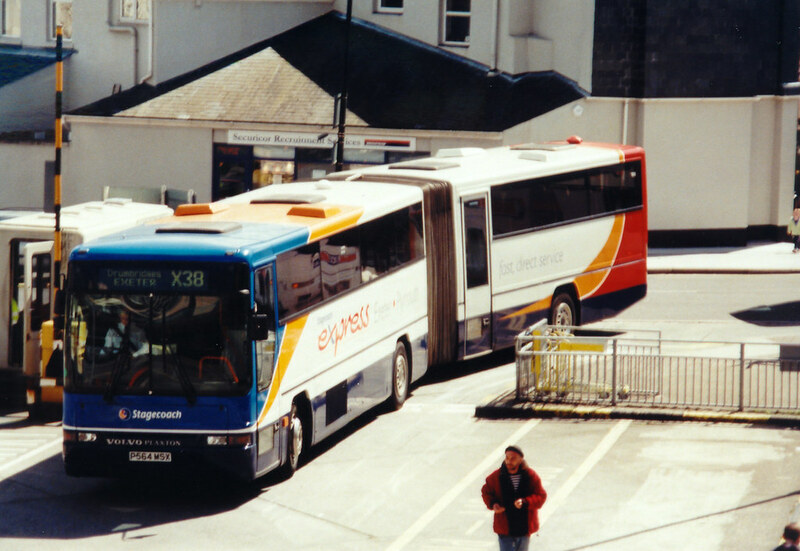 Two photos of the X38 Bendy Years when the route was operated by these articulated coaches. 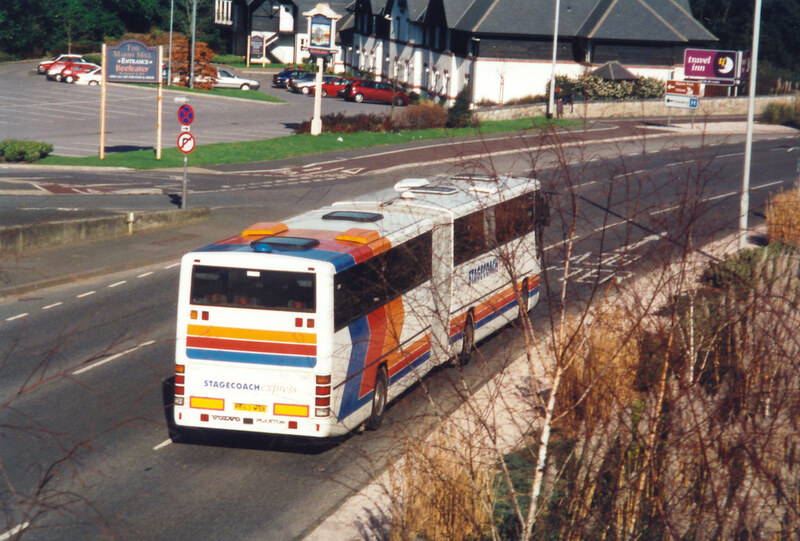 We see P563MSX leaving Plymouth in the original Stagecoach stripes (remember them!) and the sister coach P564MSX arriving at Bretonside in then brand new Stagecoach swirly livery. Over the years I can remember the X38 has been in the hands of Leyland Leopards with smart Plaxton and then ugly Willowbrook bodies, Mercedes Bread vans, Volvo Plaxtons, Volvo Plaxton Bendy bus, and now Dennis Tridents of Enviros are the norm. At one stage they actually brought in few ‘Mega Deckers’ ex Honk Kong Olympians. It really has had the full range of vehicle types and sizes!